Our research aims to understand how microbiota contribute to health and disease. This research involves using culture-independent microbial profiling tools to understand how these microbial communities differ in their composition (species), as well as their behavior, such as metabolism of distinct substrates, virulence, or formation of complex biofilms. We aim to understand how these communities of bacteria, fungi, and viruses interact with immune responses and contribute to health and disease. 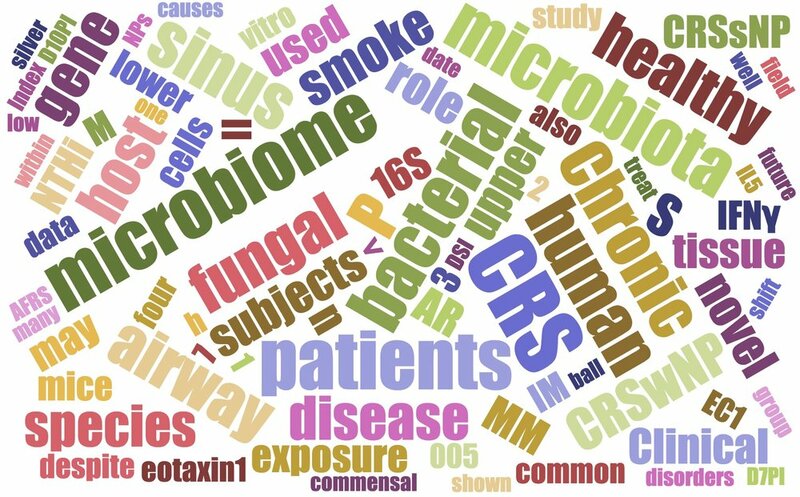 Our lab investigates the effect of airway microbial communities in chronic rhinosinusitis (CRS). CRS affects approximately 1 in 7 adults in the US and is related to other conditions such as asthma, allergies, and cystic fibrosis. 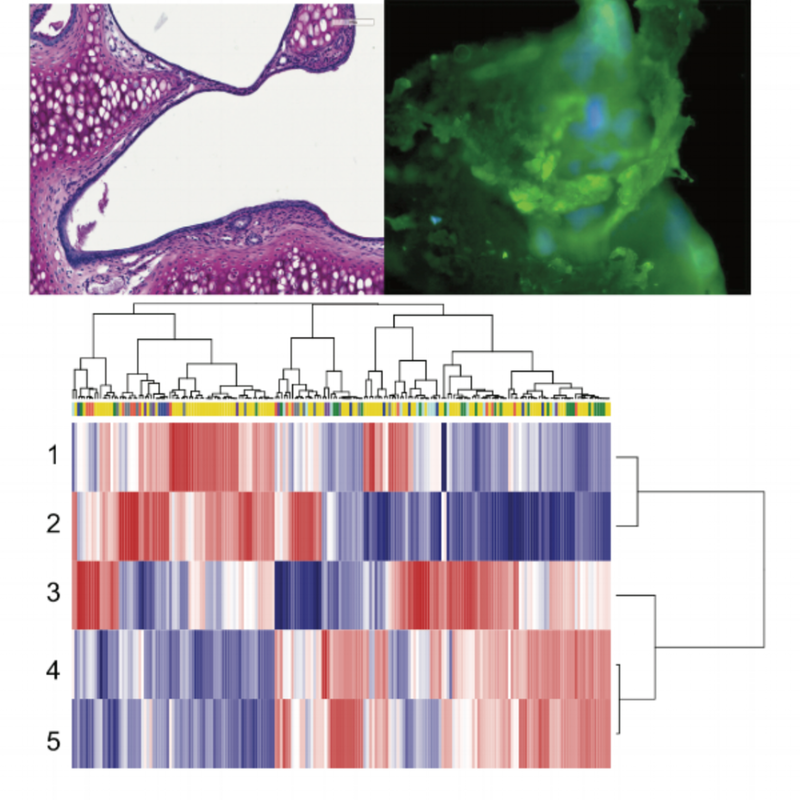 We use a multi-omics approach paired with hypothesis driven murine and in vitro models to understand the microbial and host immune responses in this complex disease. Microbes living in a defined niche interact with each other directly, through attachment and co-aggregation, and indirectly, through secretion of compounds, modification of the environment, or by altering nutrient availability. These interactions may be central to host health status. 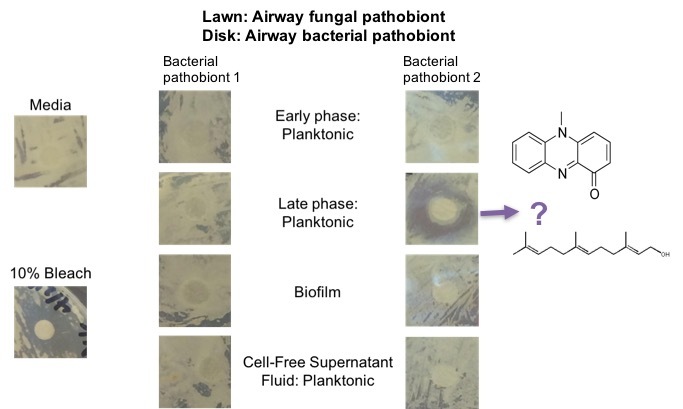 How do major environmental perturbations alter the airway microbiome? In this collaborative study, we aim to determine whether environmental changes such as constant exposure to chlorinated water or dietary intervention alters the nasal microbiota composition and to potentially identify changes that lead to susceptibility to respiratory infection. Sampling technique is described here.